2017 is finally here, which means we have to leave a few things in 2016. It has already been established that we can leave Kylie Jenner's lip kits and Juju on the Beat in 2016, but there are some fashion trends that I pray can also stay in 2016. Continue reading to know the top four trends that I wish to no longer see in 2017 and the top five trends that I hope go even more viral. 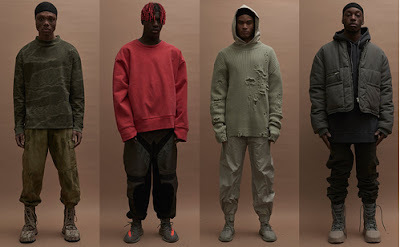 Can we stop pretending like Kanye is changing the fashion game or are we going to keep praising him for supposedly introducing ripped clothing? I have my reasons for not liking Kanye as a celebrity, but as a "fashion mogul" I think his clothing line is unoriginal. Anyone can get a beige t-shirt and cut some holes into it; I've seen it before Kanye appeared in the fashion industry. Trust me when I say that spending almost $1,000 on Yeezys will not turn you into Kanye West. 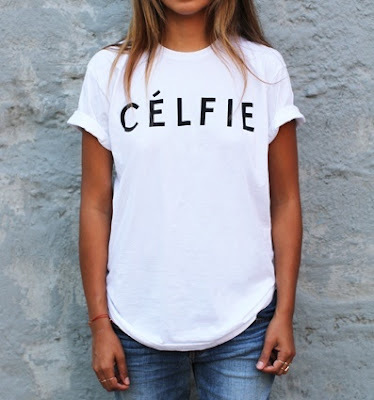 It's ok if you do not own a Céline Paris shirt or cannot seem to find it anywhere, but the knock-offs with corny puns are not as stylish as they may seem. Instead, invest in low-budget graphic t-shirts that look pretty close to designer wear. 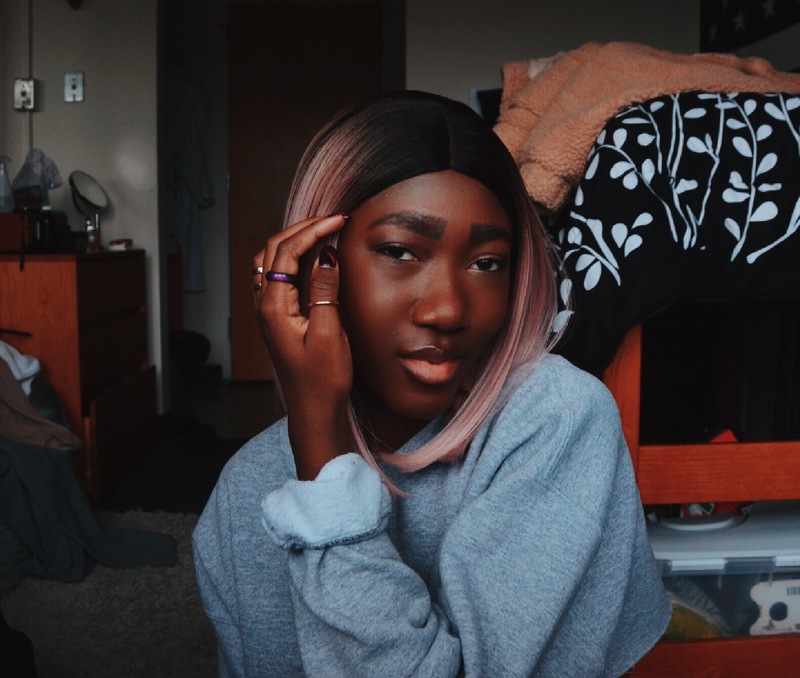 Now, I love baseball caps so I do not think it is a trend that has to go...but they don't need to be worn with every outfit. I wear them when I feel like they would make a great accessory for my outfit and that does not happen often. Some people will wear a baseball cap that throws their whole look off when they could just simply accessorize another way, do something with their hair or wear a cute headwrap. There are options. For example, Rihanna does not wear baseball caps a lot but when she does, she usually wears them the way she does below. These were cute for a little while, but now maxi skirts have taken a turn. Why wear a sheer maxi skirt when you could wear a beautifully designed one, or a simple yet stylish one that can be styled in many different ways. Crop tops and bralets are some of the few pieces of clothing that go well with a sheer maxi skirt. I am so here for this trend. Fishnets under jeans, especially ripped jeans, gives your outfit an edgy look; I definitely want to see more of this trend this year. These are cute, especially designer ones. Styling them are easy, so there is nothing else to say. 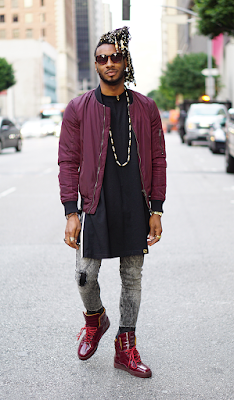 I'm so here for this trend because it just shows that women can break the fashion barriers without caring. You wanna wear a cropped shirt that shows a little underboob? Show off that underboob unapologetically. Now, this is the ultimate trend of 2017. I have started buying more oversized sweatshirts to wear as dresses with heeled boots, sneakers and over-the-knee boots because it is so comfortable yet fashion-forward, depending on how you style it. Bomber jackets have been a thing since the 90s, and have reappeared as the new go-to jacket that is perfect for the fall, winter, and spring when the weather is just right for almost any outfit. They may seem basic, but they are trendy. If you know a few more fashion trends that belong on this list, comment them below because I am sure there are a ton; or comment any trends that just need to be left in 2016.